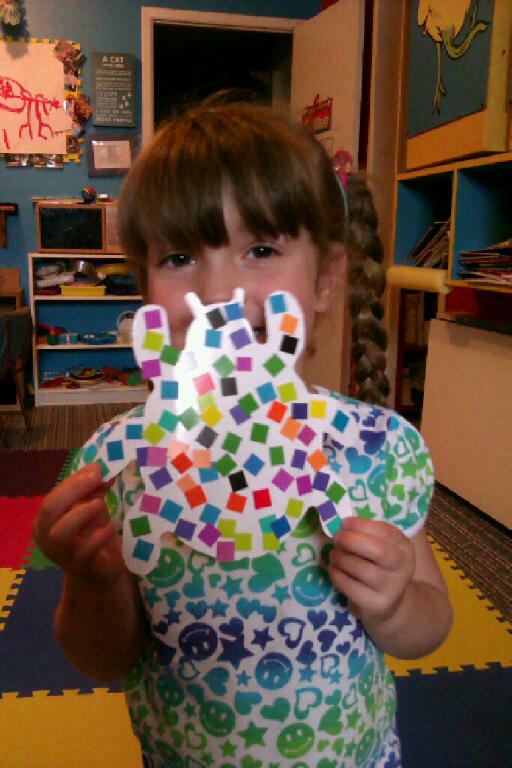 Our R15639 Spectrum Mosaics were featured in a project at a local daycare! Here’s a few photos of the projects these crafters put together! R15639 Spectrum Mosaics come in a variety of different colors and are double-sided, so kids will get surprised at the color they see on the opposite side. These mosaics were used to decorate the bug cutouts with a bit of glue. The colors are bright enough that kids can separate them or sort them into groups. The aim of this project was to paste the mosaics on the bugs in order to decorate them, but you can take it a step further by focusing on covering parts of the cutout with a certain color. This gives it a uniform mosaic look. The Spectrum Mosaics package comes with beautiful practice artwork on which children can paste the mosaics. This will help them build puzzle-solving skills while exercising fine motor skills! Thanks to Janice for sending us these photos! 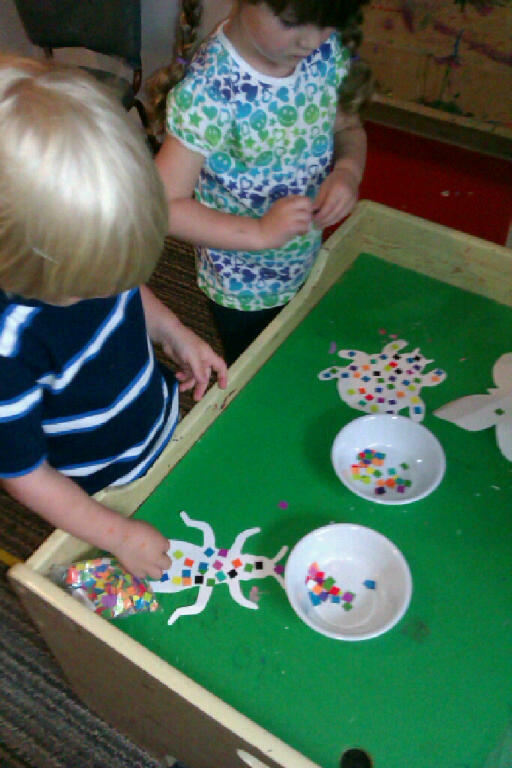 This entry was posted in Crafts by Bloggers and tagged activities, bugs, daycare, fine motor, insect activities, kids, mosaics, outdoors, pasting, spectrum mosaics, summer by roylcoblog. Bookmark the permalink.